Clear Coupon is a coupon you can find in the store tear pad. I found this walking in the supermarket and immediately grabbed some. 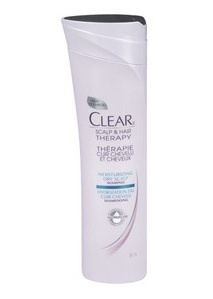 Clear coupon is to Save $2 on Clear Scalp & Hair Beauty Therapy products. Visit your local grocery store to find the tear pad coupon. There is a barcode at the back of the coupon which makes it a valid coupon. Clear Scalp & Hair Beauty Therapy total care shampoo gently cleanses & nourishes† scalp and hair. Formulated with Nutrium 10™, an advanced moisture complex of vitamins and nutrients including vitamins B5, C & E, sunflower, almond, soybean & coconut oils and aloe vera.